Earth Glide. The elemental can burrow through nonmagical, unworked earth and stone. While doing so, the elemental doesn't disturb the material it moves through. Siege Monster. The elemental deals double damage to objects and structures. An earth elemental plods forward like a walking hill, club-like arms of jagged stone swinging at its sides. 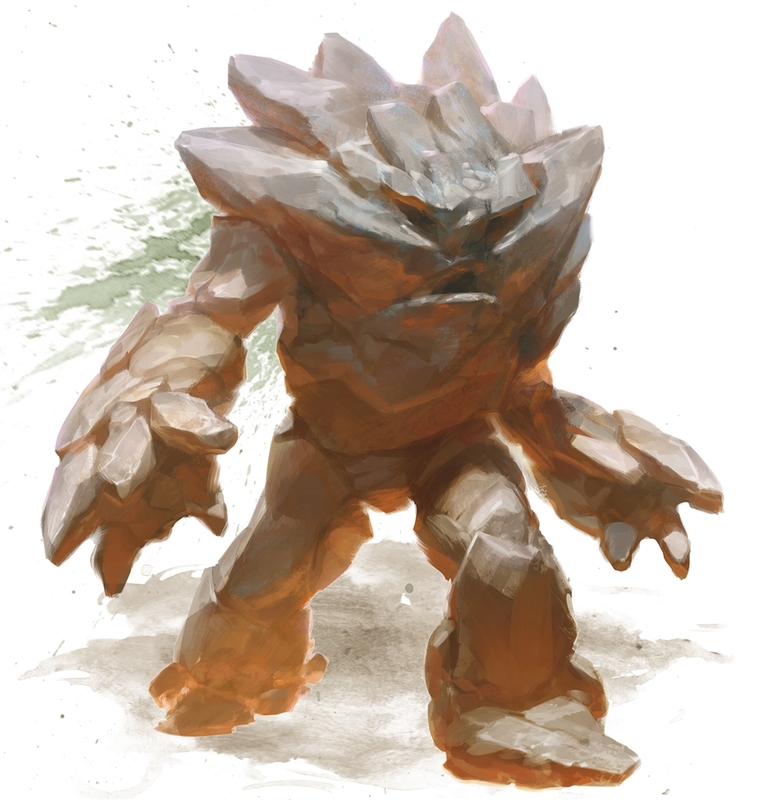 Its head and body consist of dirt and stone, occasionally set with chunks of metal, gems, and bright minerals. If they only speak Terran, how will an Earth Elemental understand my half-orc's verbal commands when I summon one with Conjure Elemental? This has come up in games before. Somebody correct me if I'm wrong, but I believe that the elemental will understand your command no matter what language you are speaking. However, just because it can understand you, does not mean it can speak back to you in a language other than Terran. Example: If you wanted the earth elemental to burrow somewhere for reconnaissance, and then have it report back to you, it would be unable to do so because it can only speak Terran and you cannot understand it. Could I learn to speak Terran tho? You could only learn to speak Terran if your DM allows it. Alternatively, you could communicate with your earth elemental through magical means such as comprehend languages. Comprehend Languages helps you understand but not communicate. I believe Tongues does. Can Earth Elementals be healed with potions? 1. The spell literally says you can just tell it what to do and it'll do it and 2. Terran is a dialect of primordial, which is a very exotic language spoken by elementals and genasi.